At Flamingo Homecare, we make it possible for elderly, injured, or disabled individuals to experience independent living in the comfort of their own homes. Our non-medical in-home care givers offer a range of services designed to help our clients manage the challenges of day-to-day tasks and enjoy a better quality of life. At Flamingo Homecare, our carefully selected team members are committed to our clients’ safety, convenience, and wellbeing. We provide friendly, professional care, attending to the essential tasks that may be difficult for our clients to perform on their own. Our services are designed to enhance the lives of our clients while giving friends and family members the peace of mind that comes with knowing their loved ones are being cared for. Whether it’s help with shopping, household chores, or just companionship, our in-home care givers are there for you when you need them. Enjoy worry-free independent living. 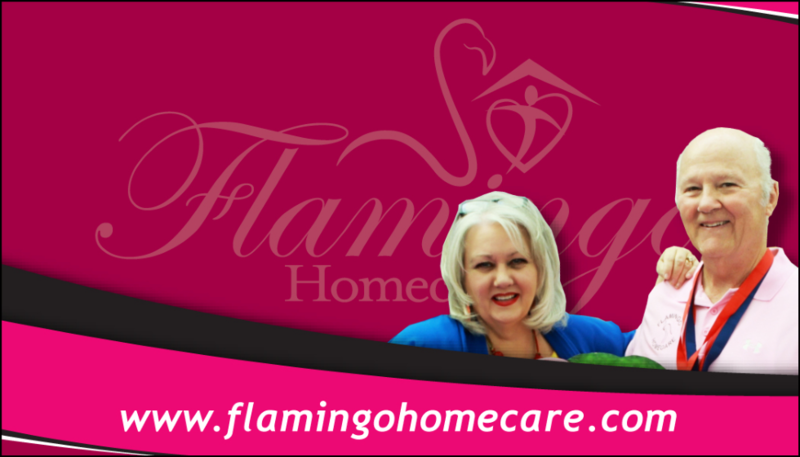 Call Flamingo Homecare to learn more about our in-home care services.